During his election campaign, one of Trump’s promises was to lower taxes. And now, it’s expected to become a reality. The new tax reform bill has already been approved by the Senate, and the House is expected to pass it with flying colors before the end of the year. Such a move means it will be the first time the U.S. will rewrite its tax codes since 1986. After witnessing some of the most crushing tax rates under the Obama administration, the bill can’t come soon enough for business owners. 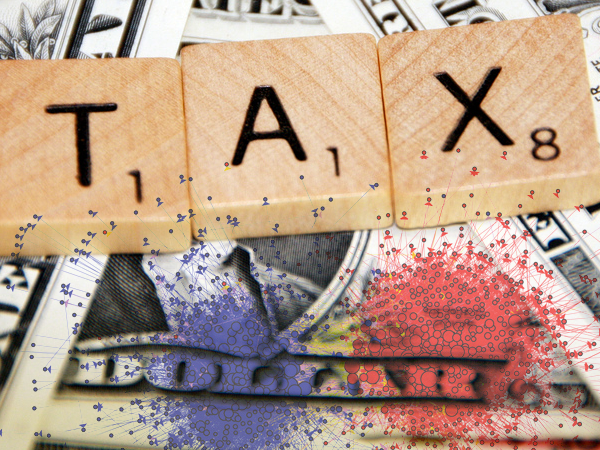 Should it come to fruition, it’s expected to cut corporate tax down from thirty-five percent to twenty percent. Will It Create Economic Prosperity or Just Make the Rich Richer? The tax reform bill has been creating some fuss between Republicans and Democrats. Republicans say tax cuts will promote economic growth as they believe both corporations and private individuals will decide to invest heavily once it’s introduced. If this is the case, it could increase the competitiveness of the market, create more jobs, and boost GDP growth. However, this could also pose some challenges. With the unemployment rate hovering at around four percent, the lowest since February 2001, and with wages appearing to be on the rise, economists’ inflation fears are becoming more credible. Such pessimism is also shared by the Democrats. They believe the bill will only favor businesses and the rich, and won’t bring growth to the rest of the economy. They argue the bill will cause a reduction in tax revenue, and instead of reducing America’s $20 trillion debt, it will only increase it. However, such is the uniqueness of investing in gold, both scenarios could be beneficial for gold investors. Gold is a proven hedge against inflation, so economic growth would cause the price of gold to increase. What’s more, gold is a safe haven during times of economic turmoil. So should the U.S. debt rapidly increase, it could cause further credit downgrades and shaking throughout the economy – which would also send gold prices higher. It is nice when, in these divisive, partisan times, there is something that unites those of both political persuasions, and buying gold should be just that. The two sides may have completely different expectations from the tax cuts and therefore different reasons for doing so, but whoever turns out to be right the effects on the economy will probably be such that both will end up in profit. Making money, it seems, is one of the few things left that has no partisan slant. By just about any measure, it’s an opportune time to start or add to a position in precious metals. Because, ultimately, it doesn’t matter what effect the new tax reform bill has. Whether the Republicans’ or the Democrats’ predictions are right, you won’t have to wait long to find out who the real winner will be – gold.